Scottish Country Dancing in Carlisle and District. Welcome to the RSCDS Carlisle Branch website for Scottish Country Dancing in Cumbria. 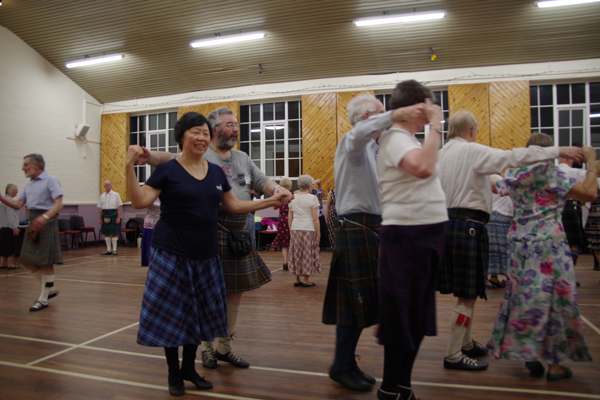 Scottish Country Dancing is a healthy pastime for dancers of all ages and abilities to keep fit and active. See our information on Scottish Country Dancing and find a class in Cumbria where new dancers are always welcome. The Branch is part of the Royal Scottish Country Dancing Society. Scottish Country Dancing is a superb pastime to keep both mind and body together. There is the challenge of learning each dance and the fabulous reward in dancing it correctly on the dance floor. We are keen to encourage new dancers to Scottish Country Dancing in Carlisle and you will receive a warm welcome and help in becoming proficient in Scottish Country Dancing. You can bring a partner or come on your own as it is a very social hobby, no one is left out, the aim being to enjoy the dancing and have fun. The Carlisle & Borders Branch is part of the Royal Scottish Country Dance Society and was formed in September 1950 with general and advanced classes taught by Jackie Johnston of Dumfries and accompanied on piano by Nancy Dickson of Dalston. The venture proved to be a huge success with up to one hundred keen dancers attending regularly once a week, in the old St. Cuthbert’s church hall on West walls in the centre of Carlisle. Some of those original dancers are still members today, still interested even if not able to dance any more! There are plenty of classes in the area suitable for both new comers and more experienced dancers. Find a class near you on the Classes page. 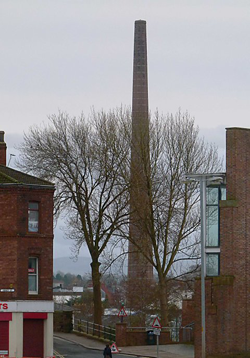 We are working to bring together groups from across north & west Cumbria and link with the south of Scotland, thus involving Carlisle, Penrith, Morland, Eamont Bridge, Cockermouth, Bassenthwaite, Seascale, Whitehaven, Hightae, Lockerbie and Bentpath (north of Langholm). To join the Carlisle and Border Branch of the RSCDS or to renew your membership, please complete the Membership Form and send it to our treasurer Graeme Ridgewell, at 48 Moorhouse Road, Carlisle, CA2 7LU. The membership year is from July 1st to June 30th each year and most members re-join when classes start in September. The fee includes £20 for membership of the society and £4 for membership of our Branch. You can pay to join as many branches as you wish. Each member receives a magazine twice per year and reduced class costs at many RSCDS classes.